This #1 internationally bestselling thriller, an ingenious book within a book, is about the disappearance of a fifteen-year-old New Hampshire girl and, thirty years later, a young American writer's determination to clear his mentor's name and find the inspiration for his next bestseller. August 30, 1975. This is the day fifteen-year-old Nola Kellergan is glimpsed fleeing through the woods before she disappears the day Somerset, New Hampshire, loses its innocence. Thirty-three years later, Marcus Goldman, a successful young novelist, visits Somerset to see his mentor, Harry Quebert, one of America's most respected writers, and to find a cure for his writer's block as his publisher's deadline looms. But Marcus plans are violently upended when Harry is suddenly and sensationally implicated in the cold-case murder of Nola Kellergan whom, he admits, he had an affair with. As the national media convicts Harry, Marcus launches his own investigation, following a trail of clues through his mentor's books, the backwoods and isolated beaches of New Hampshire, and the hidden history of Somerset's citizens and the man they hold most dear. To save Harry, his writing career, and eventually even himself, Marcus must answer three questions, all of which are mysteriously connected: Who killed Nola Kellergan? What happened one misty morning in Somerset in the summer of 1975? And how do you write a successful and "true" novel? 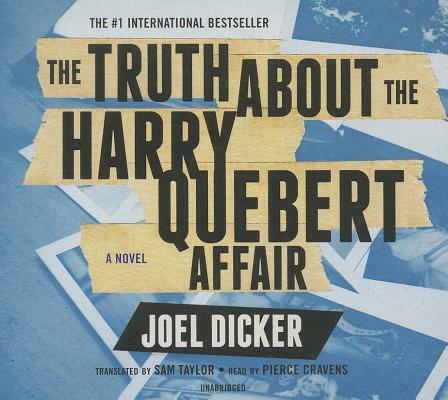 A global phenomenon, with rights sold in more than thirty countries, "The Truth about the Harry Quebert Affair" is a fast-paced, tightly plotted, cinematic literary thriller and an ingenious book within a book by a dazzling young writer.